The JRPG is a genre which has probably had the hardest time in the era of modern gaming. As tastes evolve and kids flock to the new big thing, classic genres have been forced to adapt and evolve. Gameplay systems like turn-based combat seem antiquated now, and the storylines of JRPGs feel a bit restrictive compared to the much more open-ended western RPG storylines. Thus, it was very ambitious of Dragon Quest XI: Echoes Of An Elusive Age to put out a game which is still very much in the classic style of RPGs. However, under the hood Dragon Quest XI is much more streamlined, and it’s got a slicker new engine. In keeping with the metaphor of a car here, this sequel doesn’t try to reinvent the wheel; it just creates a wheel that turns nice and smoothly. Dragon Quest XI may not be as big a name as other JRPG heavyweights, but it’s arguably just as significant. Many of the features that debuted in Dragon Quest games have become standard in JRPG and even Western RPG titles. I mean, the fact that there’s the number XI tacked on to this release is proof enough that the series has been around for a good long time. Unlike its peers, however, Dragon Quest XI has kept a lot of things in the series consistent, preferring to upgrade and update the gameplay rather than rethink the model between games. Thus, Dragon Quest XI ends up being a bit of an anomaly in 2018. It’s a big-budget, classic-style RPG. In many ways, it’s aimed at the fans of the series (who are surprisingly numerous), but I would argue this is a release that targets newcomers as well. In terms of structure, Dragon Quest XI sticks to the formula quite a bit, and if you’re a fan of J-RPGs you can see a lot of the early developments coming up. The story starts in a quiet village where our mute hero is on his way to complete a quest which is a rite of passage of sorts for the village youths. While trying to complete his quest and protect his friend, the hero learns that he is, in fact, a chosen one of sorts and must embark on his destiny. In some ways, the game’s start feels a little rushed. Usually the whole ‘call to adventure’ deal takes a little longer than this. But in a lot of other ways, it makes a lot of sense. The thing is, we don’t need that much time to set up the hero’s journey, and the game makes use of its early stages to give us a basic movement and combat tutorial. And the ‘intro’ of the game does kind of happen in stages. You climb the mountain, you realize your hidden power, and you leave your village early on. About an hour in, the game has already turned you loose in the world, and as such you get a much more entertaining ‘Breath of the Wild’ approach where you’re tossed out into the world real early on. One really great thing about the game is that the tutorials are kept minimal, and you’re given the option to speak with NPC’s if you’re stuck. This is what I meant when I said the game streamlines the classic RPG system. Every little thing RPG fans usually mind in J-RPGs has been dealt with in some fashion. There’s a simple, intuitive map system that helps you find objectives and points of interest, an auto-run feature and a jump button for movement, and a text guide that’s helpful without being overwhelming. Additionally, you have shrines where you can save and heal, posts where you can summon mounts, and a pretty straightforward level layout. There are still some issues with pacing, mind you, and I feel like this is still a game that demands patience. I wouldn’t have minded a way to speed up combat a little and do without animations, but then Rome wasn’t built in a day. Speaking of combat, it’s not that different than the standard J RPG turn-based system. You have a squad combat system and you can tweak the squad tactics, you choose attacks or special moves when it’s your turn, and you can sneak up and thwack an enemy over the head if you want to get the drop on them. It’s pretty basic for the most part, and if you don’t like turn-based combat this isn’t going to be that fun. It is, however, an improvement on games that try and mix up turn-based combat, because I feel like middle grounds between dynamic and turn-based combat can just be a bit tedious and end up costing you lives. So, we’ve established that if you’ve played a Dragon Quest game or really any old-school RPG, you’re familiar with Dragon Quest XI. So, what does it bring to the table? Well, it does things you’ve seen before, but it does everything so much better. The environments, for one, are just breathtaking, and I felt like my PS4’s processing power was being pushed to its absolute limit as colourful and vibrant worlds were brought to life. It’s complemented nicely by a brilliant and exciting soundtrack by the Tokyo Orchestra. The thing about Dragon Quest XI is that they’ve set up such a good open world system that you really feel like just going out and exploring because it’s so streamlined. Monster design is cartoonish and bizarre, and there’s a real anime sensibility to a lot of the characters. In terms of your party, the characters are pretty helpful albeit not that creative in terms of their personalities. You’ve got Erik, the street-smart rogue, Sylvando, the flamboyant showman, and Jade, the lady who’s tough but pretty. It’s kinda trope-y all things considered, but the characters do have good development arcs, and it’s nice to see a game develop with a smaller character base. overall, Dragon Quest XI plays it pretty safe, but sometimes it’s good to do the basics and just do them really well. It’s nothing special, but for fans looking for a classic experience and newcomers wanting a particularly good example of the genre, Dragon Quest XI is a great pick. 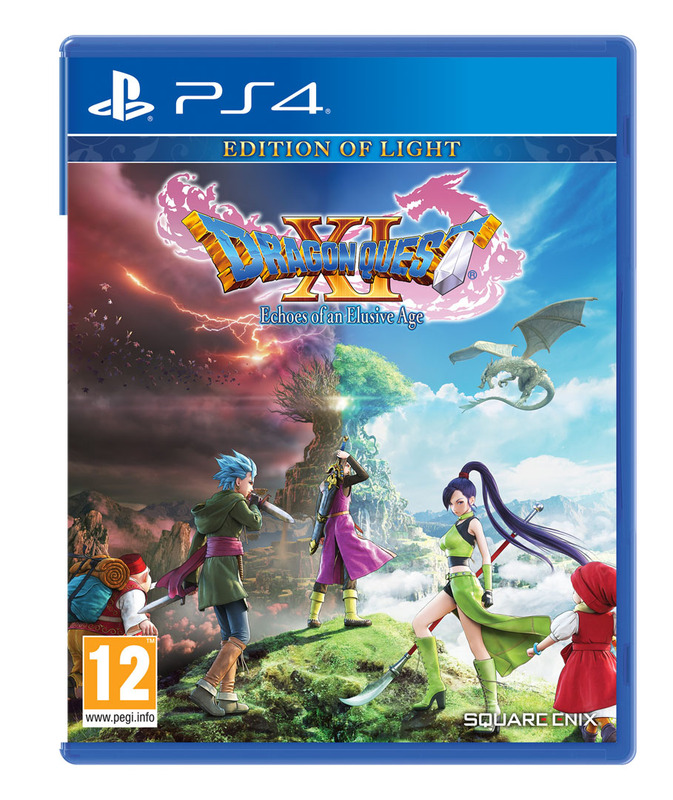 Dragon Quest XI: Echoes Of An Elusive Age was reviewed using a PlayStation 4 digital download code of the game provided by Square Enix. The game is also available on PC via digital and retail store releases. We don’t discuss review scores with publishers or developers prior to the review being published (click here for more information about our review policy).